You hear it all the time from concerned friends who swear they’ve been through this before: “Don’t even try selling your home during the winter. No one’s looking.” That prevailing notion has kept many homeowners from trying the market during a time of year that’s just as good for real estate transactions as any other season. The myth that homes don’t sell in the winter is easily dispelled by looking at your local newspaper. The long columns of property transactions in your region alone should be a good indication that home sales don’t slacken as the holidays approach. Many people assume that the shorter days and the Holiday Season shuffle keep potential home buyers far too busy to check out homes on the market. Others are far more confident listing their homes in the spring or summer, when they feel that young families may be looking to move without disrupting their children’s school years. During the winter months, however, the market is full of serious buyers. Many of these are retired homeowners, making up a bigger portion of the homebuying market than ever before as more of these retirees are looking to move into smaller houses. Low interest rates on mortgages are also heating up sales this winter, and if you wait you may not be able to take advantage of the same buyer confidence as interest rates rise. In fact, wintry weather can be harnessed by a property owner to make your home even more attractive to potential buyers. For starters, make sure that your driveway and front walks are cleanly shoveled. The snow will provide a perfect rustic framing to your home’s facade. If you have a family, build a snowman, igloo or some other fun project that will be inviting to visitors. Make sure that you don’t go overboard, however, as you want your guests to see the natural splendor of your home and not a lot of decorations. There is no bad season for home sales. Throughout New York State and Arizona, HUNT Real Estate ERA is the name to trust when you’re ready to put your house on the market. 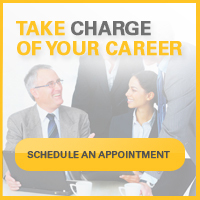 We’ll give you the confidence necessary to navigate the current real estate market with ease! New Year’s resolutions are common in January because everyone wants to start off the new year right. But have you ever considered a new year’s resolution for your home? Here are a few to help kickstart your new year in your home. One of the easiest resolutions is to declutter and organize your home. The best way to start is to go one room at a time and clear out items you don’t use or wear. Stick to a plan and get decorative baskets to organize items that may take up space, like DVDs, books, and video games. Check your home for radon. This can be done through an at-home test or by a professional. Check your carbon dioxide detectors and smoke detector batteries. If you don’t have either of these items, make sure you purchase them. Clean your lint trap vent and/or duct. While you may be cleaning out your lint trap on a regular basis for your dryer, your ductwork may have lint in it if you’ve never cleaned it. It’s important to do this regularly because it’s highly combustible and can catch fire easily. If you’re planning a remodel and your house was built before 1978, have your home tested for lead paint and asbestos. Even though the weather isn’t warm yet, you can work on your home projects. Simple tasks like repairing a hole in your drywall, painting, replacing a light fixture, or replacing a faucet do not require good weather. There are simple ways to help the environment that can help you save on your utility bills. Make sure you turn off lights when you aren’t using them. It may seem a little ridiculous, but planning for the next holiday season can help in the long run. Make sure you pack away decorations neatly and label boxes with what is in them. Also, make sure you note any items you may need to purchase for the next holiday season. Did you run out of dishes? Did your lights break? Do you need a folding table for all of your dinner guests? January is a great time to find holiday items on sale. What are your new year’s resolutions for your home? Let us know! If you need assistance with your plan for the new year, check out the HUNT Homeowners Club! The includes direct access to our portfolio of HUNT-approved vendors engaged in businesses relating to owning and maintaining your home. From contractors and remodelers to roofers and electricians, we can recommend the right vendors for any home-related services you need. Your host, Peter Hunt, welcomes Sarah Klaiber to the show. Sarah Klaiber is a Business Development Manager in the Buffalo/Niagara Region. Together, Peter leads the discussion on technology and the current real estate industry. Guest Host, Susan Ballard, welcomes Michael Burke & Lisa Cirillo to the show. Michael and Lisa are both real estate professionals working out of our Williamsville Clarence branch. Together, Susan leads the discussion on the current sellers market and low inventory. Families looking to relocate often have questions about their new communities and their future finances. For people eyeing the Buffalo area, some of those worries can be laid to rest knowing that the city is one of the most affordable in the country. Low-cost housing combined with economical living expenses makes this a particularly desirable locale. The Buffalo area is remarkably affordable. Forbes Magazine ranked Buffalo as the most economical housing market in America in 2014. During the final quarter of that year, homes sold at a median price of $118,000. This makes home buying financially realistic for more than 80 percent of area residents, according to Forbes. This year, Business First rated Buffalo the second most affordable place to buy a house in the United States. Researchers came to this conclusion by reviewing median income and property value data from the Census Bureau. Buffalo outranked 50 major cities across the nation. When investors want to buy or start businesses, they're often impressed with the low commercial real estate prices in the area as well. Some cities and towns have inexpensive housing, but a higher cost of living can wipe out those savings. That isn’t a problem in Buffalo. Overall living expenses are 14 percent lower than the nationwide average, according to the University at Buffalo. Residents spend about 7 percent less than the U.S. average when they pay utility bills or buy groceries, according to Forbes. Medical care costs and transportation are also below the national average. During 2014, U.S. News and World Report named Buffalo as one of the most attractive cities for seniors with limited incomes. It noted that the average retiree pays just over $1,000 per month in housing-related bills if he or she continues to make mortgage payments. Seniors also benefit from a special discount card supplied by the city government. It cuts the cost of local restaurant meals, drugstore products, haircuts and various other services. If you're still working, you can look forward to an affordable retirement in this area. The bottom line is that homeowners in Buffalo can pay their bills more easily than people in most large cities. This helps them lead more enjoyable lives and set money aside for emergencies. Residents also have convenient access to higher education, exciting cultural events, Lake Erie recreation and diverse eateries. If you're interested in moving to western New York, HUNT can assist you. We help customers find affordable homes, acquire financing and protect their investments with dependable insurance. Your Host, Peter Hunt, welcomes Jim Fink to the show! Jim Fink is a Buffalo Business First Reporter covering real estate, commercial development and government. Together, Peter leads the discussion on commercial real estate and recent developments within Buffalo. Moving out of state is no small decision for a family to undertake. Picking up and resettling in another part of a single state is difficult enough, but when moving to a different state entirely, there are a host of new concerns to think about. Staying informed of what to expect when crossing state lines will make sure you handle the process properly and with confidence. First of all, make sure that you have the right moving company hired to handle your move. You should get quotes from at least three different companies before choosing one, and make sure to ask them some questions about how they handle out-of-state moves. Federal regulations mandate that moving companies must hand out brochure material about moving across state lines to reside in a new state, which will further explain your rights and responsibilities. You may want to purchase some mover’s insurance to protect against the risk that some of your personal belongings or furniture may be damaged in transit to your new home. This insurance is typically not too expensive and may be a great comfort to you if you’re making the move across multiple states. Do what you can to make sure that your packaging costs are kept low. Besides the moving company and their equipment rentals, this is going to make up the lion’s share of your moving costs. Cardboard boxes can be cheap to come by, but are also very flimsy, especially when wet. Durable plastic containers may be more expensive, but for your televisions and more fragile items they may be a lifesaver. Finding a way to reduce the amount of belongings that are coming with you can help keep your packaging costs down and your trip light. Gather a lot of belongings that you can bear to part with and try to hold a yard sale to get rid of them and even make a little extra cash. Or you could donate those belongings to a school, church, library or other public place where people can use them. 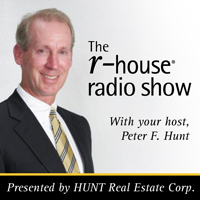 With HUNT Real Estate ERA, finding a residence in a different state is made easy. In New York and Arizona, we broker the sale of high quality properties for people from all over the country. Trust our expertise to get you to a new state without a worry. Golf course communities and courses located within this suburb. Did you know you could buy property right on the green? Golf course communities are perfect for families living an active lifestyle. Imagine waking up to pristine greens and enjoying your first cup of coffee right behind the 7th hole. The Scottsdale area offers amazing courses and properties alike. First and foremost, this community is home to the world-renown TPC Scottsdale course, home to the annual Phoenix Open, the world’s largest attended golfing tournament. The rolling greens, low brush and mountain backdrop of this course provide a stunning backdrop and scenery for any visitor. TPC Scottsdale has been hosting tournaments for the PGA Tour since its opening in 1986. Plenty of other golf courses of varying sizes are situated within just a few miles of the center of Scottsdale, as anyone can see by checking out this website from GolfLink. Both 18-hole and 9-hole facilities abound in this region, perfect for amateur and serious golfers alike. These golf courses range in length from just over 1,000 total feet to 7,000 feet in length and more. Get in a quick round or visit an area where you can spend all day traversing a stunning landscape. Our website includes plenty of listings for real estate openings in Arizona, especially around the city of Phoenix. Many of our Western New York clients are interested in checking out properties in this area, even just for a vacation home. You will be stunned by some of the southwest-style architecture that are on display in these homes and facades. The wide network of HUNT Real Estate ERA associates can help you find a great home no matter where the property is located. The days are shorter, the air is crisp, and winter is just around the corner. Selling your home during this bright and blustery season is not as hard as you think! There are numerous ways to turn your home into a ‘Winter Wonderland’; one that all prospective buyers will find cozy and comfortable. Effective home staging is important year round, but winter home staging requires a few extra steps to ensure your home is warm and inviting. Prospective buyers often times drive by the home, therefore maintaining the exterior of your home during the winter is important. Your first task is make sure all walkways, including the driveway and sidewalks, are free of snow and ice. Keep salt in the garage for icier days, and be sure to maintain the walkways daily. Night falls earlier in the winter, thus you must make sure your home’s exterior is properly lit. Place candles in the windows, set a timer for the outdoor lights, and string up a set of white lights along the porch. Strategically prop a wooden sled against a tree, hang a few lanterns from bare branches, and greet guests at the door with a beautiful winter wreath. These small touches will help your home stand out, and remember, sometimes less is more! Light is also a major player in the interior staging. Take advantage of the daylight hours and try to schedule appointments to show the home during this time. Wash your windows and make clever use of mirrors, they will help reflect light around the room. Place LED light candles in darker areas of the home and dress up the candle with a bit of holiday decoration. When deciding on interior holiday décor for staging your home, try to keep the holiday decorations neutral; you want your home to be appealing to everyone who walks through the door. Use nice rich colors for throw pillows and blankets, or set the table with fine china to add a nice holiday touch. Great neutral holiday decorations and accessories include pinecones, stars, branches, lights, and holly. Strive to bring out the natural elements of the winter season. And be sure not to overdo it. The stage is set and the show is about to start. Take this time to add small touches to the interior. If you have a fireplace utilize it, a roaring fire will show prospective buyers some of the added value to your home. Aromas are a nice way to add to the atmosphere of any home. Who doesn’t love the smell of homemade chocolate chip cookies? Pair the cookies with freshly brewed coffee or piping-hot cocoa to make your visitor feel more at ease. Keep it the aromas minimal and stay away from air fresheners; it may leave some guests thinking you’re trying to cover something up. Now that your home is market ready, remember there’s nothing to fear about the real estate market during the winter months, especially when you leave your home in the hands of one of the area’s most successful real estate company. Winter, spring, summer or fall, HUNT Real Estate ERA will find the right buyers for your home during any season! Visit us on Pinterest for more winter staging ideas! What is the true value of living in a home? In some cases, a real estate transaction may be thought of only in terms of exchanging money for a piece of property. Although a home can be broken down into its individual parts to determine the cost of each, there are numerous intangibles that go a long way in determining what it’s “worth” to live on a certain block or street. Neighbors can be a source of stress for some people, a fact that’s played up on television shows and elsewhere for a quick joke. However, the truth is that many of us want to have positive interactions with the people we might see every day. Many of us try to go out of our way to make sure that we’re good neighbors, especially in times of need. If you’re interested in improving the value of your home, try to consider what you can do to improve the value of your neighborhood. Perhaps you could organize holiday festivities for your block or get a few volunteers to help you clean up garbage and weeds from the roadside. You could help out an elderly neighbor by shoveling their walkway while working on your own, or mow the lawn for the couple down the street who just welcomed home a new baby. Be the neighbor you want to have, and watch those around you join in. When a prospective homebuyer comes into the neighborhood to look at a property, the condition of the surrounding neighborhood is going to be one of the first things that person will notice. A home will always have a better chance of being sold if the potential buyer sees that people care about living on that block or street. Giving back to those around you has a way of helping you out in the long run. You might have to spearhead many of these activities yourself if no one else has made the effort in the past, but the final project can be very rewarding. You might even inspire others living around you to take action and show a little more pride in where they live. Who knows, maybe you’ll come home to a freshly mowed lawn after a long work week! HUNT Real Estate ERA is always interested in building better neighborhoods across all of the regions we serve – from the Capital region, through Central and Northern NY, Rochester and Western NY as well as Arizona! When you’re looking for a place where your family can grow for years, call us to schedule a consultation! Guest Host, John Rummel, welcomes Rob Blake to the show! Rob is one of our leading agents in the Buffalo area, working out of our Metropolitan office. Together, John Rummel leads the discussion on the current real estate market. Property values are still increasing and there are still many active buyers out there. John and Rob talk about listing your home now, instead of waiting until the Spring market.